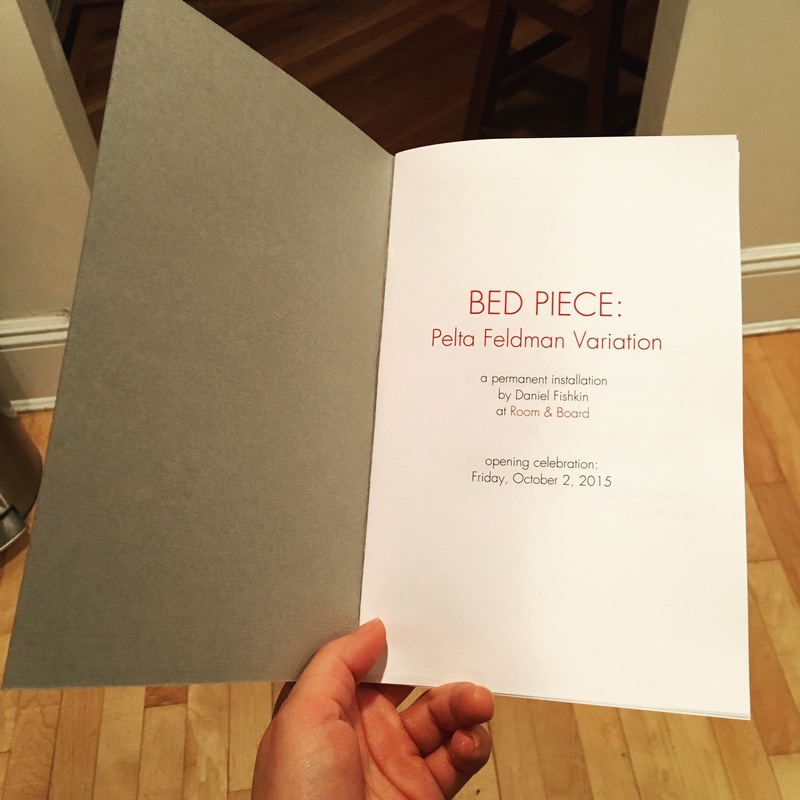 Daniel Fishkin made Bed Piece: Pelta Feldman Variation (2015) during a residency in September, 2015. It is Room & Board’s guest bed, where artists stay when they are in residence. It is also a work of art, a unique sculpture, permanent installation, and functional piece of furniture that grew out of another, more personal project that has occupied Daniel since 2011. Upstairs in the guest room, Daniel built both a musical instrument – he wired an analog synthesizer by Peter Blasser to pressure-sensitive elements on the bed’s slats, so that it responds to movement on the mattress – and a wooden cabinet of gorgeous Pennsylvania cherry, into which the bed folds up when it is not in use. Bed Piece: Pelta Feldman Variation is the literal and poetic heart of Room & Board. Daniel and I each wrote essays for a little booklet that we sold at-cost at the opening. 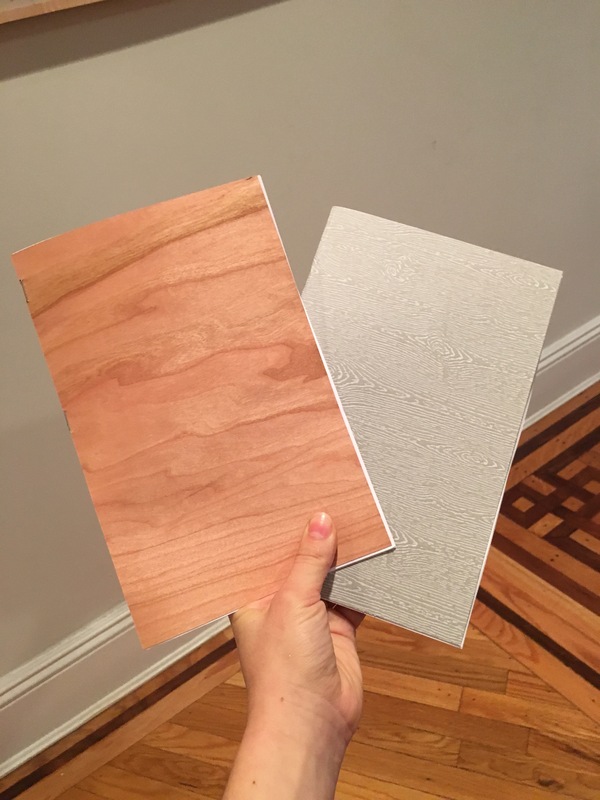 Copies are still available ($2 for gray paper cover, $5 for real cherry veneer) and/or you can have a look at the pdf. Color photographs are by Nate Boguszewski unless otherwise noted. Black-and-white analog shots are by Samuel Budin. Daniel at work. Photo by Julia Pelta Feldman. Director Julia addresses guests. Photo by Nate Boguszewski.